This private school was established in 1958 by a group of nine founders who built the school themselves to provide an environment where children could discover their individuality through artistic expression and learning. This campus renovation was an opportunity to look at the schools goals and values over the past 50 years and determine how they could manifest themselves in the program and design to create a sense of place, while looking ahead at how the school philosophy and community will evolve in the next 50 years. 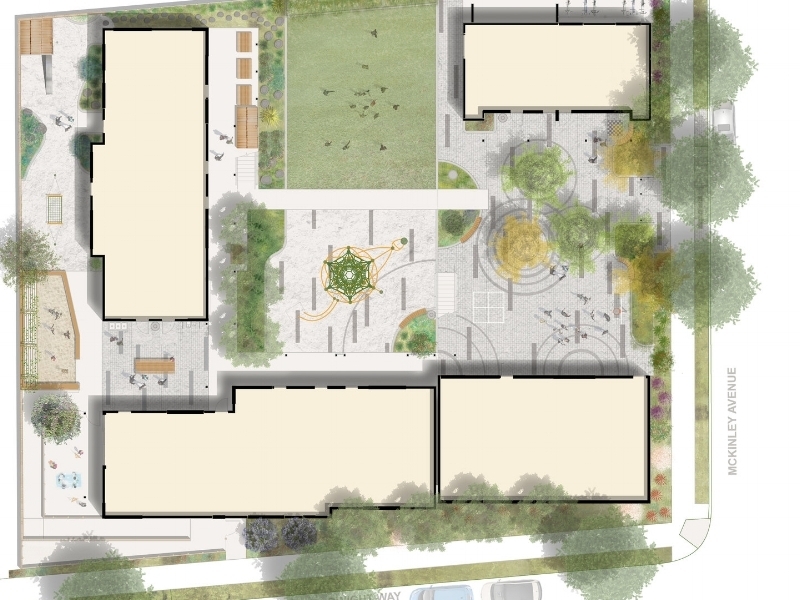 Working with Siegel & Strain Architects, BAY TREE DESIGN interwove flexible spaces and multi-use elements that honor the Founders, encourage community connection, and support activities that will engage the whole child through learning and play activities.